Since beginning their residential sales career, Adrienne Wender and Susan Grella have created a stellar reputation based on professionalism and referrals. working tirelessly to create a seamless transaction with sales of condos, co-ops, lofts, and penthouses. Their experience also includes working with international clientele and complex foreign governments. Adrienne and Susan have the innate ability to look at different floor plans and provide visually effective concepts as designers. They have many resources at their disposal to assist with staging and renovations obtaining maximum profit for their sellers. 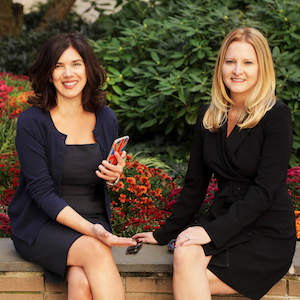 As longtime residents of Murray Hill and Midtown East, Adrienne and Susan have a particular expertise in those areas, specializing in properties along the East Side from 14th to 96th streets. Because of their many years in New York, they have also developed an all-encompassing knowledge of the real estate landscape across Manhattan. Ultimately, it does not matter where in New York City you are looking, Susan and Adrienne are able to cater to and help find the right place for you anywhere in Manhattan. The Wender | Grella Team have been mentioned in the Wall Street Journal, Veranda, Luxury Listings, Aspire Home & Design, The Real Deal, NBC’s Open House New York as well as other top-tier media outlets. Located on the ritzy Italian Riviera, in the coastal resort town of Zoagli, in the region of Liguria, the Sem Benilli Castle sits majestically on a rocky cliff, overlooking the beautiful, turquoise sea of Liguria and the Tigullio Gulf. The scenic Via Aurelia Coastal road, winds its way past the castle, linking the resort towns of Portofino, Remo, Santa Margherita, Rapallo. The castle was built in 1914 by Italian poet and playwriter, Sem Benilli, who commissioned his friend, Gian Giseppe Mancini, to design the castle. Mancini, a set designer, designed the castle to reflect the playwrights multi-faceted personality with the use of diverse materials, such as marble, majolica, bricks and natural stone. The result is a whimsical, theatre-like effect with the castle taking on a Medieval/Gothic style. Enter through a majestic arch, with a grand front door, into the lobby area of the castle, graced with high ceilings and a geometric tile patterned floor. From the lobby, the apartment can be reached by either taking the sweeping hall staircase up or a short elevator ride. The apartment, located on the second floor, is uniquely designed. On the first level (2nd floor) is an open living room with stairs down to an additional living area. This living area has three dramatically, stone-framed, arched glass doors that open to a balcony with unobstructed, sweeping views of the sparkling sea looking towards Portofino. Imagine sitting on this wonderful balcony, with these sweeping views, sipping a cold glass of wine or a limoncello with a bowl of hand-picked olives. Also, on this floor of the apartment, is the kitchen with custom cabinetry and furniture, stainless steel appliances, and loft area. Two bedrooms each with private bathroom, and a storage area, complete this main floor. Located within the tower of the castle, an ornamental spiral staircase leads to the third bedroom and bathroom, and the terrace at the top of the tower. The private terrace has open views of the Gulf of Tigullio, the park, and Portofino. Adjoining the castle, is 2.47 acres of private grounds with a centuries-old park, stone pathways leading down through the cliff, and 2 private parking spots. Price: 1,250,000 Euros (US $1,408,875 price in US dollars will fluctuate, depending on exchange rate).